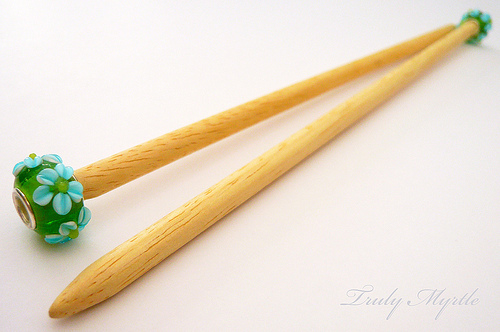 Decorate Your Own Knitting Needles! Check out these creative and cute needles from truly myrtle. Just follow the simple steps and you can make your own pair at home too!